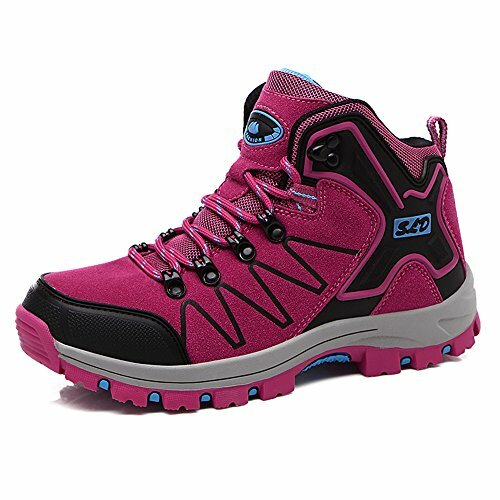 Why Choose Our hiking Boots? We haved focused on outdoors and hikking for years, we want to help more people to experience lots of outdoor activities and protect their body at the same time. Rubber Sole and non slip TPR outsole,absorbs shock and adds stability. The toe cap is made of durable leather, adding protection to your toes by absorbing impact from sudden collision to any stiff surfaces. Walking support design:Multi-layer grip design can firmly grasp the various circumstances of the rock and soil in any complex road conditions,In addition,★ FYI: Please carefully compare the size chart (in the Picture) with your feet length before ordering，wish you have a amused shopping experience. If you have any questions about this product by FEOZYZ, contact us by completing and submitting the form below. If you are looking for a specif part number, please include it with your message.